We found ourselves alone, physically divided into our own unique nightmare. Someone was clearly playing some kind of twisted game with us. Garbed as our captor’s favorite horror movie characters, we were locked away and left to our own devices to find our way out. This horror escape room had us on edge as each of us were challenged to overcome obstacles with merely a trace of help from our trusted comrades. Crossroads, also the creator of The Fun House, has really outdone themselves with this escape room experience. It is refreshing to experience a room that delivers awe-inspiring moments around each corner. The start of our experience with Crossroads was pretty average- a nice waiting room and signing waivers. However, upon entering the game, you will notice the quality of the set and structure of this room is visually remarkable! With each member of the team in their own uniquely-themed chamber, each of us was granted a totally different experience. Is it actually scary? In my opinion, no. There are no startles or gore related décor. However, if you are sensitive to even slightly creepy themes, you may disagree with me. 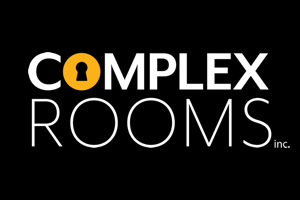 The Hex Room is a prime example for how space can be used to make your players feel more fully immersed. Playing The Detective, I got to see each of the players in their own environment (through barred windows or tiny slots). It was my duty to help others in their own path and make connections between them, which of course brought an entire new level of involvement to this scenario. The puzzles were well integrated, many of them overlapping between the multiple themes within the room. Though the types of puzzles were not entirely unique, they were extremely well executed. There are a lot of them, and we did find them rather difficult. However, this game is designed to where you can absolutely come back to play another character with an entirely new set of puzzles to face. There is even a BONUS game (best left for after the end so you don’t run out of time). I think that everyone should visit The Hex Room to see what a quality game really looks like. Even if you are like us and don’t get very far, the experience is really worth it. 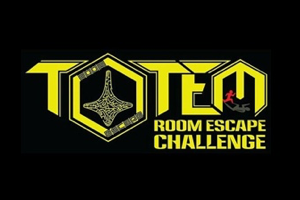 This room will absolutely spoil experienced players who are tired of the usual escape room experience, and will blow the minds of new players! Play this room. Period.